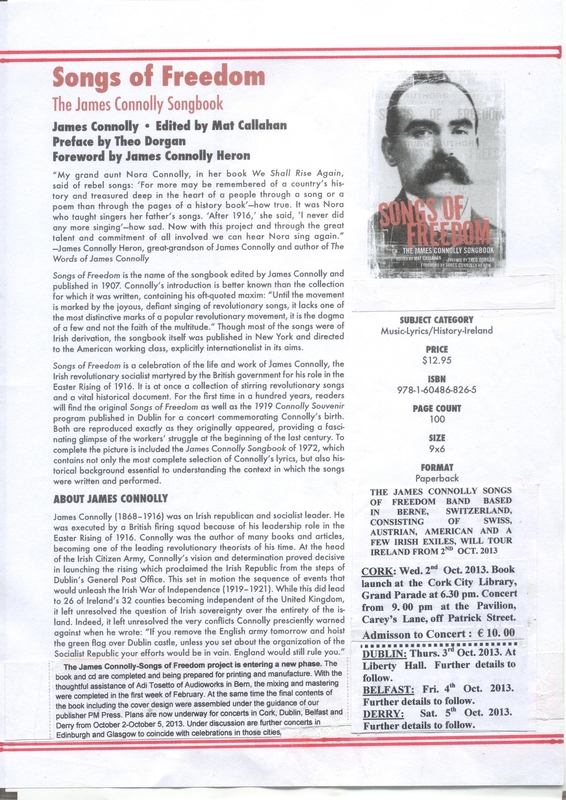 A songbook, edited by James Connolly in 1907, is to be republished for the first time in over a century and will be launched separately in a number of locations. The Cork launch will take place on Wednesday, 2nd October 2013 at Cork City Library with a concert from 9.00pm at the Pavilion, Carey’s Lane (off Patrick Street). Full details on the advert below.